NOT YOUR AVERAGE HALF MARATHONER! HOW SIGNING UP TO DO A HALF MARATHON FOR CHARITY CHANGED MY LIFE! 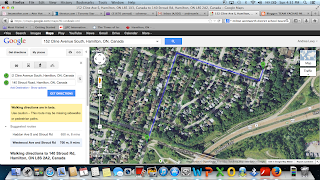 : Route from yesterday, August 31, 2013I could not take my GPS but yay google maps! 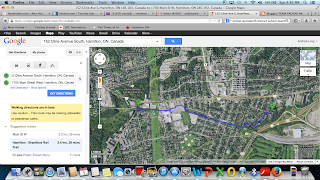 Route from yesterday, August 31, 2013I could not take my GPS but yay google maps! I just checked on my route from yesterday. 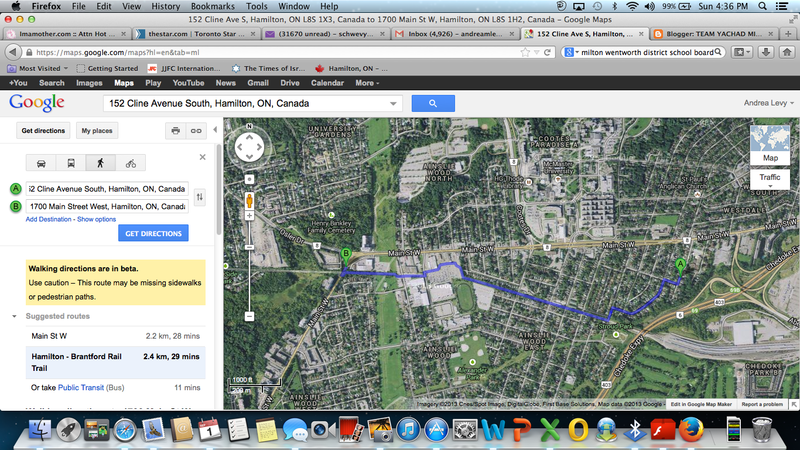 2.4 km each way for a total of 4.8 km! I also noticed that on the google walking instructions, it seems that the times they alot for how far we walked were just about right! I guess I am not actually a whole lot slower than your average person. 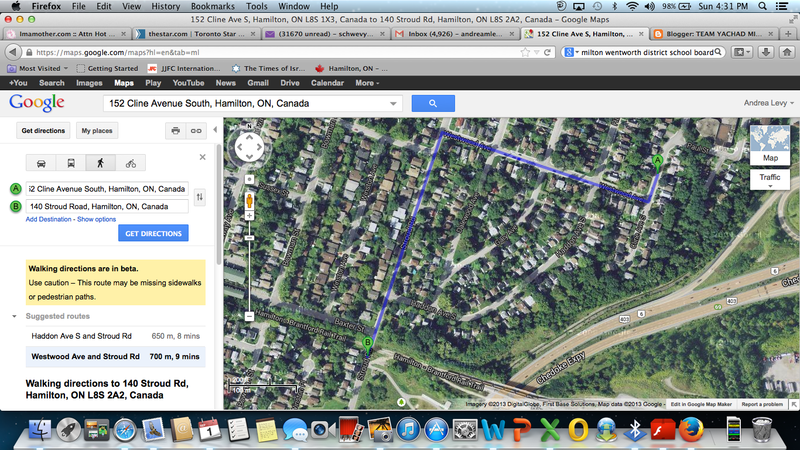 so 4.8 km = 2.18 miles.